The nodules and abrasions in his throat have been cured, bleeding has stopped completely, the spokesperson said. Congress’ star campaigner and Punjab minister Navjot Singh Sidhu, who was earlier said to be on brink of losing his voice due to hectic poll campaigning, is on road to recovery. An official spokesperson on Monday said the Local Government, Tourism and Cultural Affairs Sidhu is on road to recovery as ongoing treatment for the last one week has paid dividends. “Today the Doctor’s at Apollo New Delhi have suggested a longer interval between words and no heavy pitch for next one week as prevent treatment continues. The thin balm coating over his throat has been removed, he will be on a special fluid medicine tonight for him to speak freely and resume normal work,” the spokesperson added. As Congress’ star campaigner, Sidhu addressed over 70 public meetings in 17 days ahead of elections in Rajasthan, Chhattisgarh, Madhya Pradesh and Telangana. Sidhu, known for his quick wit and oratory, was also in Pakistan on November 28 on its prime minister Imran Khan’s personal invitation to attend the ground-breaking ceremony for the Kartarpur corridor. “Mr Navjot Singh Sidhu was on an intensive 17-day election campaign, wherein he addressed more than 70 back-to-back public meetings and the exhaustive schedule has injured his vocal cords. The doctors told him that he was on the brink of losing his voice and therefore they have Suggested complete 3 to 5 days rest,” the release has said last week. The release added that the “continuous helicopter and plane travel has been detrimental to his health because of him being on embolism treatment as he had suffered a DVT (Deep Vein Thrombosis) due to excess air travel some years ago”. 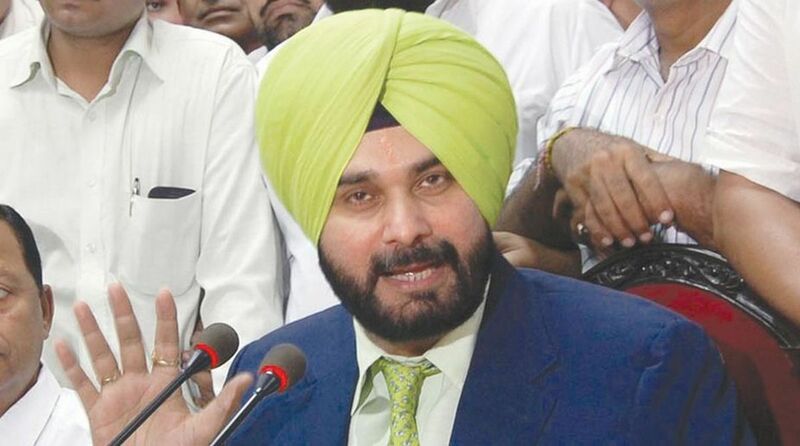 Sidhu has undergone a series of blood tests which require evaluation and has gone to an undisclosed location for a complete checkup and recovery, it added. He is being administered specialised medication along with breathing exercises and physiotherapy, it said.